Scientists based in the UK have developed a USB device that can quickly and accurately determine one's HIV status. Scientists from Imperial College London teamed up with technology firm DNA Electronics to successfully create a USB stick that doubles as an at-home HIV testing kit. 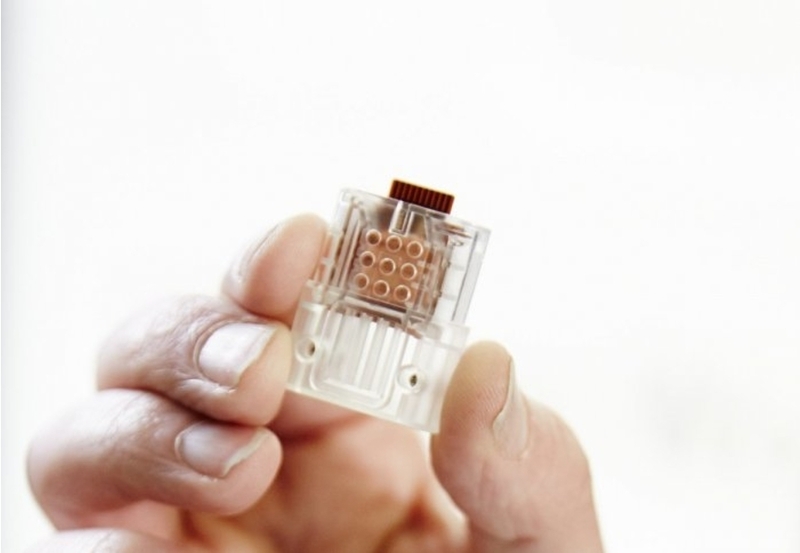 From just a drop of blood, the device can easily detect the presence of the virus. Designed to be fast and simple to use, the device is a remarkable breakthrough. The ease of the device is an important feature in more remote locations with limited access to medical care. Whereas traditional testing methods take three days to determine a result, the USB kit does it under 30 minutes. Also capable of detecting the level of the virus present in the bloodstream, it could prove a massively valuable tool for those on antiretroviral medication. Patients could easily monitor whether the medication was doing its job and keeping HIV levels down, or whether their body had developed a resistance. The device offers a future for the HIV positive wherein monitoring their health may become as easy as a diabetic checking their blood sugar levels. Published in the Scientific Reports journal, the research reveals a significantly high accuracy rate displayed by the device. Out of 991 blood samples used during the product’s testing phase, the technology proved accurate over 95 per cent of the time. It also offers a number of significant advantages over traditional testing methods; advantages that the research team believe could be particularly beneficial to areas of Sub-Saharan Africa where access to testing facilities remains fairly limited. A BMC Public Health survey revealed that those living in South Africa’s rural areas are only half as likely to have been tested as those living in urban areas. In these communities many people also struggle to afford bus fare and to walk the long distances to the nearest clinics. As access to health care services in these areas remains in urgent need of improvement, the HIV USB stick, which works by sending an electrical signal easily read by any computer or smartphone, could be a solution to this issue.